There is body of evidence to suggest that the increasing level of EMF has a biological effect on our health. Some of the most comprehensive and significant recent independent studies of scientific data in the field of EMF are The BioInitiative 2007/resp. 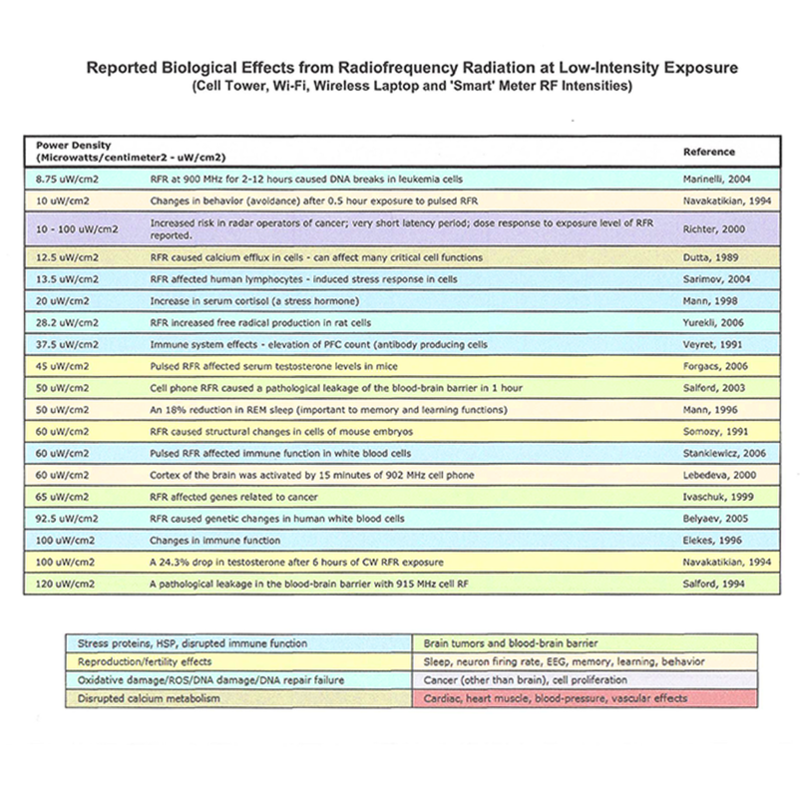 2012 Reports which were prepared by 29 independent world-recognized scientists and health experts from around the world.They compromise 4000 papers and are global milestones with respect to a comprehensive review of biological and health effects of low-intensity electromagnetic radiation . "The science, public health, public policy and global response to the growing health issue of chronic exposure to electromagnetic fields and radiofrequency radiation in the daily life of billions of people around the world. Cover brain tumor risks from cell phones, damage to DNA and genes, effects on memory, learning, behavior, attention; sleep disruption and cancer and neurological diseases like Alzheimer’s disease. Effects on sperm and miscarriage (fertility and reproduction), effects of wireless on the brain development of the fetus and infant, and effects of wireless classrooms on children and adolescents is addressed. Mechanisms for biological action and public health responses in other countries are discussed. Therapeutic use of very low intensity EMF and RFR are addressed" . As can be seen from the below slide by Associate Professor Olle Johansson, Karolinska Institute, Sweden the current public safety limits for most of the countries in the world are at 10,000,000 μW/m2 equivalent to 1000 μW/cm2. 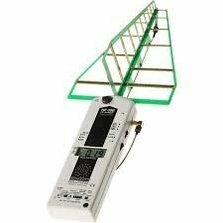 BioInitiative’s recommended safety limits revised is 3 μW/m2 equivalent to 0.0003 μW/cm2 (μW/cm2 = used in the RF Charts). ​Source: Slide by Associate Professor Olle Johansson presented at the Open Mind Conference 2014, Copenhagen . "The existing FCC/IEE and ICNIRP public safety limits and reference levels are not adequate to protect public health" . ​“New safety standards are urgently needed for protection against EMF and wireless exposures that now appear everywhere in daily life” . calling for Protection from Non-ionizing Electromagnetic Field Exposure. ​Dr. Blank has had over 30 years of experience conducting EMF research at Columbia University and is a past president of the International Bio electromagnetic Society.